Nick started his Assistant Coaching tenure in the Fall of 2018 after attending two Coach Academies. An enthusiastic manner is paired with his unmistakable down to earth, North Carolina approachability. 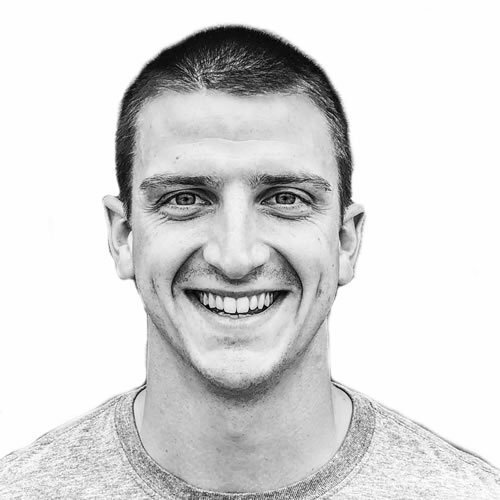 Nick is excited to help everyone he coaches, and we’re sure that you will find his positive outlook as infectious as we do. I’ve lived in SD for 3 years now. The Navy brought me out here. I really enjoy coaching squats and deadlifts. To see athletes progress through the movements is really satisfying for me. Especially when someone crushes a heavy PR! I get fired up. I hope to inspire people to be better everyday and to find confidence both inside and outside of the gym. Eat to perform, but don’t let a small craving turn into a binge. I’m a huge fan of Fat Fish in PB. I always get the carne asada tacos with a quesadilla. I also inhale about two baskets of chips prior to eating my tacos!